Beef jerky is a favorite delicacy that dates back to ancient Egypt. During the early days in America, cowboys would hang strips of meat from animals that were too big to eat all at once such as whales and buffalo in the sun to dry. Sun drying preserved their meat allowing them to carry the strips and chew them for many weeks while they were on long cattle expeditions. This article will uncover the secrets of how to make beef jerky in a smoker, rather than in a food dehydrator. The end result is quite different in terms of taste. The term 'Jerky' was derived from “Charqui” a Spanish word referring to jerked meat but English speakers changed this word to what they could pronounce easily “jerky”. Smoked beef jerky is simply a lightweight nutrient-dense meat that has been dried. 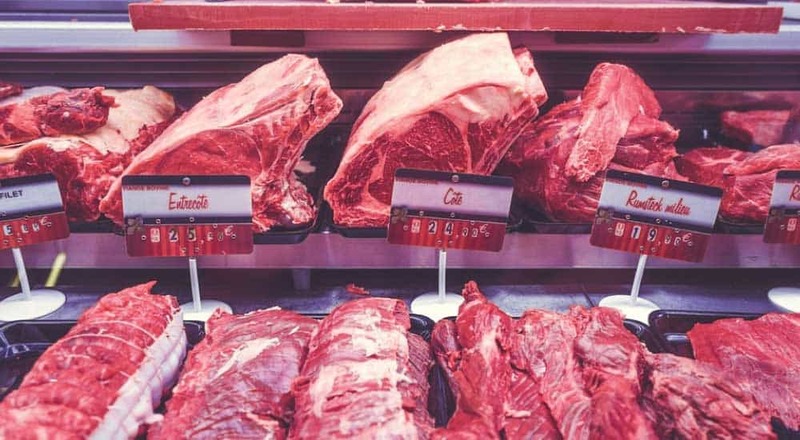 The meat is lightweight since most of the moisture has been removed through drying making it shelf stable meat that does not have to be preserved through refrigeration. Beef jerky can easily be made in a beef jerky electric smoker like the Masterbuilt 30 Inch Electric Digital Smoker hence the first thing you want to do with your new smoker is perhaps to make some delicious beef jerky. Making your jerky in an offset smoker will add a great smoky flavor that you can not get from an ordinary dehydrator or liquid smoke since the meat has to be cut very thin before it can be smoked. Extra smoking chips in the smoker are desirable but not totally necessary when making your beef jerky. It's a matter of taste. 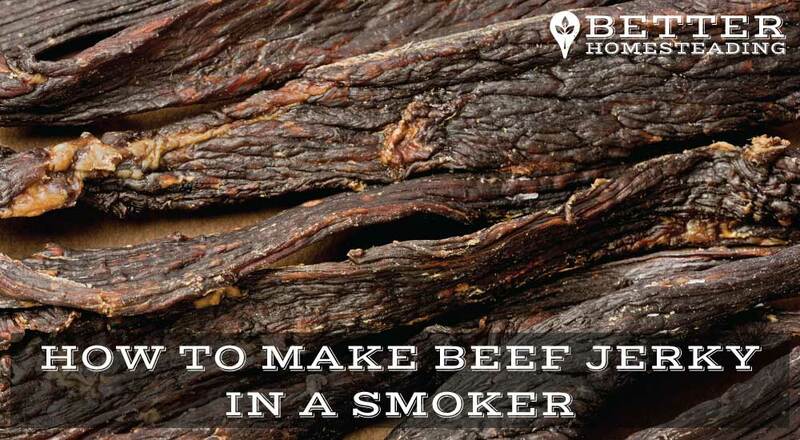 The following are some basic instructions for making jerky in a smoker. Getting your meat selection and marinade right is essential to the process. Becoming an expert jerky smoker takes time and experience, but following these simple rules will have you making a quality product right off the bat. Request your butcher to slice the beef for you according to your specified thickness. This will also save a lot of time for you. The best cut of meat should be the most tender preferably from the rear leg or the outer muscle on the upper rear leg. Though it may be the least tender, it makes good beef jerky. A cut from the inside leg muscle is more tender than the outer one and is also flavorful and lean beside being economical or inexpensive. Ground meat is also an excellent choice for making your beef jerky since its easy to chew and less harsh on the teeth although its texture is quite different from the ordinary whole meat jerky. The ground meat used should be extremely lean, at least 90 percent lean, which is easy to find in any grocery store. Ground jerky is an excellent way to get started as a new jerky maker. Deer meat is also a popular choice for making venison jerky since its organic, tender, extremely lean and has a great game flavor. The sirloin tip is also a fantastic choice because of its tenderness. Some of the basic equipment that will be required for this process include a beef jerky smoker, a jerky cutting board with a knife, drying racks, a jerky gun and a food dehydrator may be required. Begin by putting your meat in a refrigerator before you begin cutting for at least one hour to make your meat more solid and less squishy since the slices have to be very thin. Trim any fat on the meat and slice it into small strips of about 1/8” along the grains going across the meat. Marinate your beef with all the ingredients in a refrigerator for a period of 4 to 8 hours. This will ensure that the seasoning penetrates the meat well to give a nice flavor. However, if you decide to keep it simple, sprinkle some salt and pepper on the meat and start smoking. Light your smoker and place the strips of meat across the metal racks or hang them so that you do not have to flip your beef jerky over from time to time (toothpicks work well for this). You will need little smoke and a low temperature when smoking your meat. Ideally, keep the temperature at between 160 to 200 deg F.
If you decide to use an electric smoker, ensure that the amount of smoke is kept to the minimum, but if you are smoking your beef over a hardwood fire or charcoal, then you will have to control the amount of smoke produced as too much smoke will spoil the jerky. Your beef should take 3 – 12 hours in the smoke until only a small pink coloration remains and the jerky is completely dry ( it should bend and crack but not break in half). Your meat must never be left for too long in the smoke if you do not want to be eating jerky that could be used to sole a shoe. 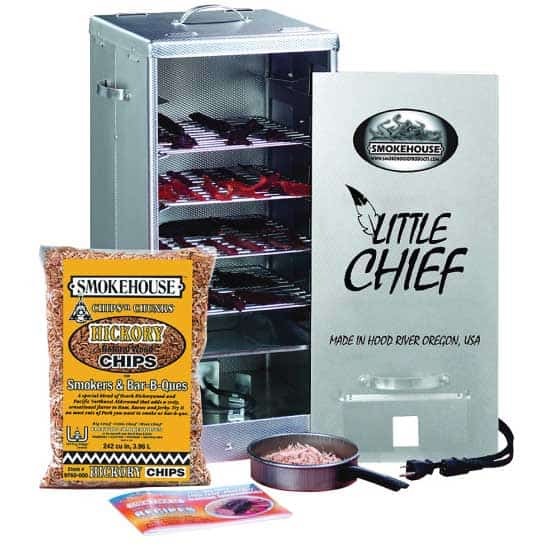 Running a smoker for many hours is challenging to many people but when it comes to beef jerky, the meat normally gets the smoke flavor in 3 hours or so, after which the jerky can be taken out of the smoker to an oven or food dehydrator for beef jerky for the remaining time. This isn’t necessary if you are using one of the electric smokers like the ones shown in this article. If you’re doing it manually though, the smoker > dehydrator method can work well. Monitor your jerky every hour or so, at least until you get a good grasp on how your smoker works and the timeframe for that particular model. A good way to gauge this is to make sure the jerky bends and cracks, but doesn’t break in half when you bend it. Jerky should be chewy and flexible, but not brittle. It can take a few smoking sessions to get the hang of this, but once you have some experience, you’ll be producing perfect beef jerky every time. Once your jerky is done, use an airlock container to preserve it. It should last for up to a week. Beef jerky is a delicious survival snack or food that is good for people at home or those going out for camping, mountain climbing or hiking. There are definitely pros and cons of using a smoker or food dehydrator for producing beef jerky. Some people swear by smoking, but others find the smoking process a little too technical to get right every time. Natural smokey flavor, does not need to use liquid smoke (which never quite gives the same taste). 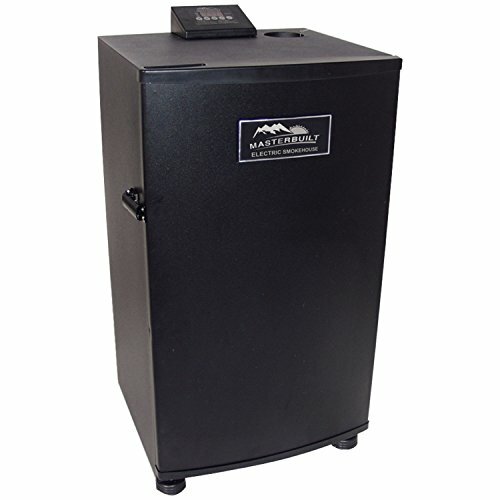 Electric smokers provide excellent temperature control. Jerky often seems more tender after smoking rather than dehydrating. Smoker also works for larger cuts of meat and fish, making it very versatile. A traditional way of curing meat and fish, fun to do. On the whole, I really like using a smoker for making beef jerky. Smokers are so versatile, I also smoke mackerel and eels at home, and it’s great for all manner of other meat smoking adventures. I hope this article has been useful. If you are a keen jerky smoker, leave a comment about how you create a delicious jerky, I’d love to get your tips.